Cyanobacterial communities from the Brazilian Atlantic coast have been recently sampled through cultured and non-cultured approaches. 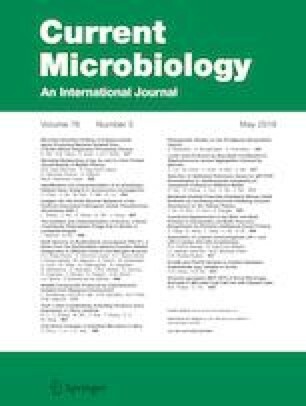 The maintenance of cyanobacterial strains in laboratory cultures is an important source of material for biological and chemical evaluation as well as biotechnological investigations. In this way, this work aimed to identify, for the first time, by means of GC–MS analyses, the nonpolar chemical profiles of four morphologically distinct cyanobacterial strains: Cyanobium sp. CENA178, Cyanobium sp. CENA181, Oxynema sp. CENA135 and Nostoc sp. CENA175, which were previously isolated from Brazilian mangroves. Six distinct classes of volatile compounds were identified: acids, alcohols, fatty aldehydes, esters, ketones and aliphatic hydrocarbons, from which 12 compounds were detected. The predominant compounds were 1-octadecyne and tetradecanoic acid, obtained from Oxynema sp. CENA135 and; the last one being also observed in Cyanobium sp. CENA181. In addition, the aliphatic hydrocarbon heptadecane was produced by these cyanobacterial strains as well as by Nostoc sp. CENA175. The compounds produced by the studied cyanobacteria have already been reported as possessing pharmaceutical properties such as antioxidant, cytotoxic and antimicrobial activities, besides industrial importance as source of intermediates for biofuel production. It is also important to mention that, considering the number of non-identified compounds, which were not compatible with the searched databases, these strains are promising sources of new compounds, denoting the need for more studies. Accordingly, since these strains were isolated from saline or brackish waters, it is also expected that they might be cultivated in waters not used for human consumption, enabling a low-cost approach for biomass and metabolites production. The online version of this article ( https://doi.org/10.1007/s00284-019-01658-z) contains supplementary material, which is available to authorized users. L.A. was supported by the Brazilian National Council for Scientific and Technological Development for a doctoral scholarship (CNPq 140090/2013-4). M.G.M.V.V. was supported by post-doctoral scholarships from CAPES/FAPEMIG (BPD-00514-14) and from CAPES (PNPD-1638006). This work was supported by grant 2011/50836-2 from the State of São Paulo Research Foundation (FAPESP). We thank Izabel Cristina Casanova Turatti (Faculdade de Ciências Farmacêuticas de Ribeirão Preto-USP) for operating the GC-MS and Dr. Norberto Peporine Lopes (FCFRP-USP) for providing available equipment.